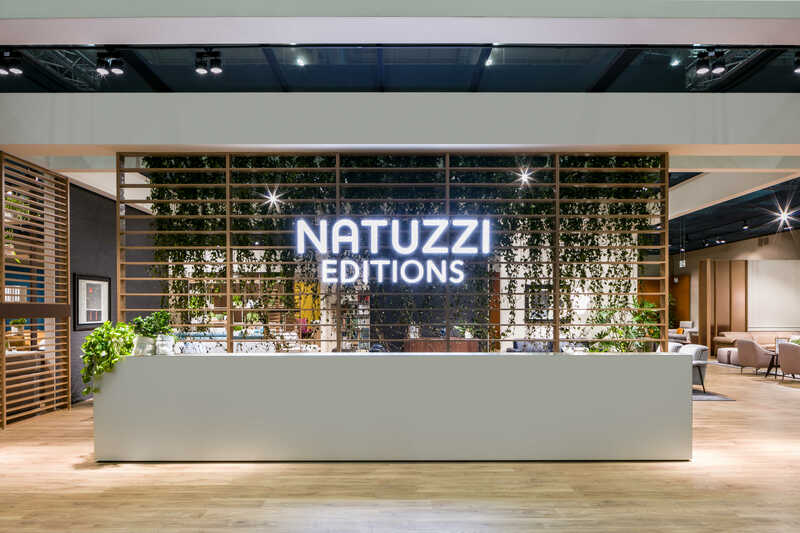 Natuzzi Editions is opening 2019 with imm Cologne (Hall 06.1 – Stand B080, C081), the first trade show of the year dedicated to furnishings, which will take place from 14 to 20 January. In an 800 square metre stand, Natuzzi Editions is presenting its new collection, which features for the first time – alongside sofas and armchairs – new projects for the living area, dining room (dining tables, chairs, sideboards and accessories) and two beds for the bedroom. For the living area 13 new models of sofas and armchairs are presented with absolute comfort and enriched with innovative features and trendy coverings. Among the new proposals, Leggiadro and Portento sofas stand out; the only sofas in the world that can boast the Human Centered Design Certification“ which certifies compliance with Ergocert’s ergonomic requirements, the first European Certification Body for Ergonomics. An important space of the stand is dedicated to the dining project with the new programs Plettro (design Mauro Lipparini) and Slancio (design Manzoni & Tapinassi) both composed of a dining table, chairs, sideboard and coffee table. Among the new proposals, the Arco sideboard features rounded lines with canaletto walnut structure, marble top and powder-coated metal base. The new project by Natuzzi Editions is completed with the beds designed by the architect Claudio Bellini,Lunare and Orbitale that complete a product offer able to satisfy the most diverse needs.